"This is a book that parents should have by their bedside...a book that child agency personnel and caregivers should read and recommend to their clients...and that teachers should apply in their classrooms." Meeting the Five Critical Needs of Children...and Parents Too! Babies, toddlers, children, teenagers, parents and grandparents all have the same emotional needs. Meeting these needs in childhood provides the foundation for success in school, work, relationships, marriage, and life in general. 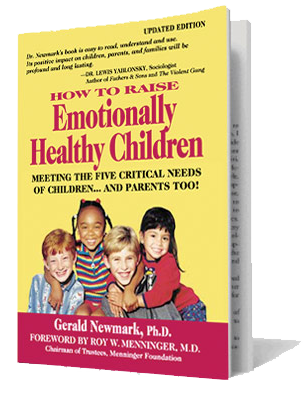 How to Raise Emotionally Healthy Children, a parenting book by Gerald Newmark, PhD, has a compelling and provocative message about parent-child relations. It provides powerful and practical concepts and tools that enable parents, teachers, and childcare providers to interact with children and with each other in emotionally healthy ways. In the process, children learn to interact with each other in the same way. The book is also a “wake-up call” to America that we are abandoning our children emotionally. Failure to support our children’s emotional health at home and in schools is jeopardizing their future and that of our nation. The Children’s Project, a nonprofit, grass roots organization is dedicated to providing a solution to this problem, and offers a way for families, schools, and even cities to become emotional-healthy-friendly environments. The book, and accompanying trainings and other resources, have attracted attention across diverse ethnic, religious, socio-economic, and age groups. It provides a universal language regarding emotional health that is easy for anyone to understand and use. Visit our free resources page for tools that parents, teachers, and others who work with children can use in supporting children’s emotional health. Translated versions of the book have also been published in Israel, Mexico, Russia, Hungary, Austria, Catalonia, China and India. A Braille version in English is made available for FREE to any visually impaired person from the Braille Institute. We help families develop mutual respect and cooperation, learn how to satisfy the emotional needs of all family members, and develop valuable skills in communication, problem solving, and decision making. We envision schools where parents and teachers work individually and together to meet the emotional needs of children at home and at school — where adults interact with children, and one another, in emotionally healthy ways. What is an emotionally-health-friendly city? A city whose citizens have adopted the five critical emotional needs as a unifying concept around which everyone can rally to create environments where adults interact with children in emotionally healthy ways. Breastfeeding is the optimal way to satisfy an infant’s nutritional and emotional needs. 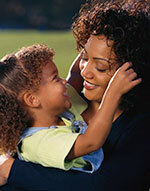 The Children’s Project is pleased to offer a mother-to-mother breastfeeding support system. Your contribution will help us continue to increase breastfeeding with new moms, develop parent trainings and new courses taught at colleges, educate everyone about the importance of the five critical emotional needs and so much more. Together we can raise emotionally healthy children! Your kids will never be bored again! Subscribe to our newsletter and receive a free list of over 150 activities you can do with children at home or at school! Your commitment to enhancing the health and well-being of children by supporting parents in meeting their emotional needs is commendable and deeply appreciated. It’s a human guide that speaks to our human heart….I read those five needs over ten times and then again. These are not needs of boys and girls. They are critical needs of human beings. 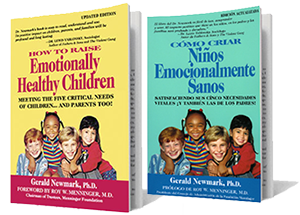 There are many educational books and DVDs out there, but many are too hard for the parents to understand… I found the “How To Raise Emotionally Healthy Children” book and DVD to be just right for our parents to ensure successful outcomes in every avenue of their lives. In Abriendo Puertas/Opening Doors, every day we hear parents say they want their children to have a better life. This book is a significant contribution to making that aspiration a reality for parents throughout the United States.